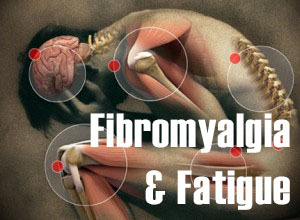 What do Chronic Fatigue Syndrome & Fibromyalgia have in common? Many doctors and researchers are convinced that Fibromyalgia and Chronic Fatigue Syndrome (CFS) are simply different manifestations of the same underlying disorder. In fact, many patients suffer from both conditions. While both have been acknowledged as real physical diseases, neither one has a known cause or cure. Is the lack of a cure all that the two illnesses have in common? Not by a long shot. When looking at what is known about Fibromyalgia and CFS, they appear to be more alike than they are different. We all get tired; most of us at times have felt depressed. But the enigma known as chronic fatigue syndrome (CFS) is not the ups and downs we experience in everyday life, or even the temporary persistence of such feelings in response to exceptional physical or emotional stress. The early hallmark of the illness is a pronounced fatigue that comes on suddenly and is relentless or relapsing, causing debilitating tiredness or easy exhaustion in someone who has no apparent reason for feeling this way. Unlike the mind fog of a serious hangover, to which CFS has been compared, the profound weakness of CFS does not go away with a few good nights of sleep but instead slyly steals a person's vigor over months and sometimes years. According to the American College of Rheumatology, fibromyalgia is a common condition that is associated with widespread aching, stiffness and fatigue, and originates in muscles and soft tissues. People with fibromyalgia are found to have multiple tender points in specific muscle areas. Most individuals complain of aching and stiffness in areas around the neck, shoulders, upper back, lower back and hip areas. Many patients have no underlying disorders while others who develop fibromyalgia may have conditions such as rheumatoid arthritis, spinal arthritis or Lyme disease. Some people have symptoms of irritable bowel syndrome, tension headaches and numbness or tingling of the extremities. Depression is also not unusual in fibromyalgia pateints. The cause of fibromyalgia is unknown. Conventional medical treatment may include modest doses of over-the-counter pain relievers to help eliminate some pain and stiffness. Some doctors may also prescribe small doses of certain antidepressant medications that help promote deep sleep. Side effects of these antidepressants can include dry eyes and mouth, constipation and increased appetite. A CFS diagnosis as opposed to one of fibromyalgia often depends merely on whether fatigue or pain is the most dominant symptom. Although there are certain symptoms--such as fever, sore throat, and swollen glands--that are found more commonly in CFS than in patients with fibromyalgia, the similarity in symptoms between the two conditions is undeniable. In addition, research has revealed similar physical abnormalities in CFS and fibromyalgia, such as reduced blood flow in key areas of the brain. Technologies for analyzing brain function such as SPECT and PET scans have documented these abnormalities, and there is little difference between the scans of CFS sufferers and those of fibromyalgia patients. What is still unclear is whether these abnormalities are a result or the origin of the disease. A study on 12 women who had both fibromyalgia and chronic fatigue syndrome were found to have increased homocysteine levels in the cerebrospinal fluid. This study found a significant positive correlation between the increased homocysteine levels and fatiguability, and that the levels of vitamin B12 in cerebrospinal fluid also correlated significantly with fatiguability. Since Vitamin B12 deficiency is associated with increased homocysteine levels, the researchers observed that the low level of vitamin B12 found in their patients probably contributed to the increased homocysteine levels.11 Consequently, supplementation of vitamin B12, which can reduce elevated homocysteine levels, may help reduce homocysteine and fatigue in patients with fibromyalgia and chronic fatigue syndrome. The British Medical Journal published a double- blind, placebo-controlled, cross-over study on the treatment of fibromyalgia using the homeopathic remedy, Rhus toxicodendron, or Rhus tox. side effects with homeopathy there is little to be lost in trying—but try the 6C first. First of all, you should follow a healthy diet so as not to exacerbate any immune dysfunction which may be involved in the condition. Next, develop a plan to avoid or limit overexertion and emotional stress. Allow yourself time each day to relax. That may mean learning how to say “no” without guilt. But don’t change your routine totally. 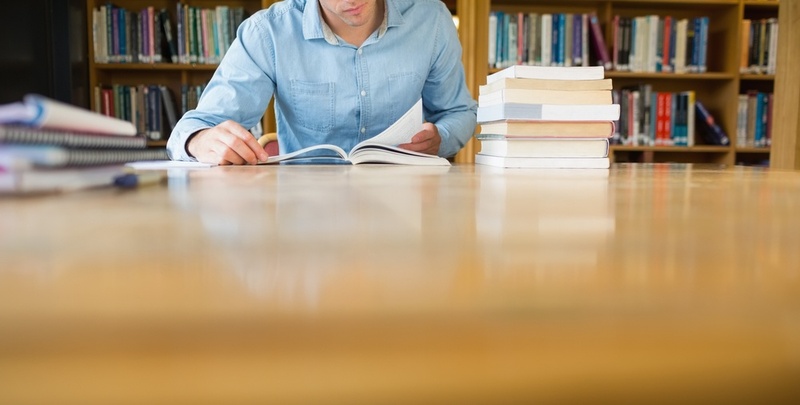 People who quit work or drop all activity tend to do worse than do those who remain active. Some people get relief from massages, hot baths and relaxation techniques. In addition, try to exercise regularly. For those with fibromyalgia, exercise may increase your pain at first. But doing it regularly often improves symptoms. Appropriate exercises include walking, swimming, biking and water aerobics. Aim for at least 20 to 30 minutes of exercise four or more times a week. Stretching and good posture are also helpful. Keep your activity on an even level. If you do too much on your “good” days, you may have more “bad” days. Finally, get enough sleep––lack of sleep makes fatigue and other symptoms worse. Try to develop regular sleep hours and get adequate rest each night. 1. Saheki T, et al, Nippon Rinsho (1999) 57(10):2270-5. 2. Kuratsune H, et al, Int J Mol Med (1998) 2(1):51-6. 3. Plioplys AV, Plioplys S, Neuropsychobiology (1995) 32(3):132-8,. 4. Plioplys AV, Plioplys S, Neuropsychobiology (1997) 35(1):16-23. 5. Forsyth LM, et al, Ann Allergy Asthma Immunol (1999) 82(2):185-91. 6. Dinan TG, et al, Psychoneuroendocrinology (1997) 22(4):261-7. 7. O'Malley PG, et al, J Fam Pract (1999) 48(12):980-90. 8. Redmond G, Int J Fertil Womens Med (1997) 42(2):67-72. 9. Singer A, Wonnemann M, Muller WE, J Pharmacol Exp Ther (1999) 290(3):1363-8. 10. Laakmann G, et al, Pharmacopsychiatry (1998) 31 Suppl 1:54-9. 11. Regland B, et al, Scand J Rheumatol (1997) 26(4):301-7. 12. Eisinger J, Plantamura A, Ayavou T, J Am Coll Nutr (1994) 13(2):144-8. 13. Anonymous, Nutr Rev (1994) 52(7):248-50. 14. Abraham, G. and J. Flechas, J of Nutr Medicine (1992) 3, p 49-59. 15. Tavoni, A., et al, Am J Med (1987) 83(5A):107- 10. 16. Volkmann, H., et al, Scand J Rheumatol (1997) 26(3):206-11. 17. Fisher P, et al, British Medical Journal (1989) 299:365-366. 18. Gemmell H, et al, Chiropractic Journal of Australia (1991) 21(1):2-6.